Being a youth pastor and having a passion for teenagers and developing an eternal faith in them, I have a particular interest in youth conventions. I am sure that there are many more than five reasons that youth conventions are important. However, I would like to provide people with five reasons why I personally think they are one of the most important aspects of youth ministry. Things happen on youth conventions that cannot be crafted in any other way (perhaps short term missions trips and perhaps camp are two other things that might have a similar effect on a teenager’s life). At this point I am beginning to lose count of how many conventions I have actually been to, but I can remember memories from each and every one of them if I take a few minutes. If you are a teenager, or are a parent of teenagers, or have any interest in youth ministry at all, please read this short list and share it with your friends. Who knows whose life you might be able to effect eternally. 1.) Youth Conventions Create Memories. The kind of memories that I am talking about here are the silly and ridiculous ones. Ones that you laugh about and tell to the future kids in the youth group to get them jealous for not being a part of the trip (although, make sure you do not tell too many inside jokes, you do not want to alienate those who might have missed the last trip!). My last convention consisted of having a 14 hour van ride packed with teens. I made the decision to sit in the back because everyone knows that’s where the cool kids sit. One of the parents on the trip had bought a ton of snacks. 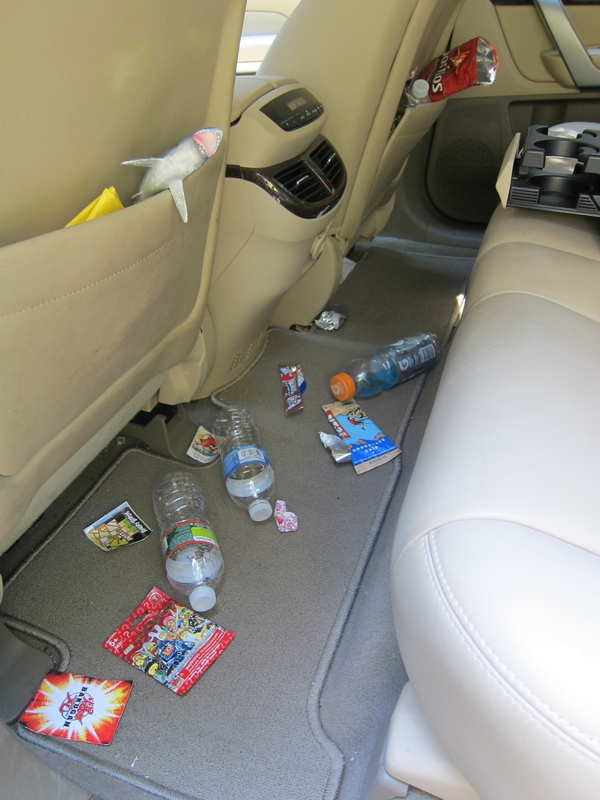 The “storage” location for the snacks was under the back seat of the van. Naturally, we started cracking open and eating the snacks before anyone knew about it. Within a short amount of time we accumulated a large amount of trash. Not having anywhere to put it we started to throw it behind us without thinking. We got to a gas stop and decided to look behind to seat. It was completely trashed! … and it was hilarious… to most of us. Believe it or not it was not a parent on the trip that was upset by this. It was an older teenager (though probably more mature than I am). She basically called us all disgusting and we only laughed harder. These are the kind of memories that we take with us for a life time. It was nothing like this. This can’t even be considered a failed attempt at our masterpiece. 2.) Youth Conventions Impact Spiritually. While perhaps this can also be seen as a type of memory, I see it in an entirely different light. These are the things that we remember on a personal level. We do not share these impacts flippantly because they represent times that we met with God in an intimate way. You can recognize when God has met with a bunch of teenagers spiritually because they will be very quiet. You could hear a pin drop as they feel the presence of God. One of the most spiritually impacting moments that I remember from my first few youth conventions is looking around and seeing how many other teenagers there were worshiping God. I have never seen anything like that anywhere else. It helps you to see that you really are not alone in the struggles of being a Christian teenager. 3.) Youth Conventions Lead Students to Christ. This one should be more or less obvious. The whole point of youth conventions is evangelism. Sure, Christian teens might get some intimate experience with God and this is great! However, what they are really geared towards is creating new disciples for Christ. I have seen tons of teens accept Christ as there savior. I remember praying during one of my youth conventions that God would have one of my friends accept Christ at the nightly rally. I was amazed when it was not just my one friend, but about five teenagers in my youth group who were all my friends as well. 4.) God Calls Students at Youth Conventions. Up until a few years ago this is not necessarily something that I would have thought was true. However, two big factors have caused me to be a believer in this statement. First, I personally felt the call to ministry at a youth convention. I was 12 years old and for the next ten years of my life I did not really think much about it. I figured it was just a spiritual high, and that it was not a call to vocational ministry. However, here I am today with an MDIV, working in a church as an assistant/youth pastor, and looking at getting ordained in a year! It was at a youth convention that I first felt like this was something that God wanted me to do, and I am not alone in this. This leads me to the second factor… apparently there are statistics that show lots of teenagers accept a call to ministry at these conventions. I did not even know that this was a thing or goal of youth conventions until a few years ago. Check out this video for more statistics … and this is from Wesleyan Youth Conventions alone! 5.) Youth Conventions Build Relationships. I am not talking about boyfriend/girlfriend relationships. If anything, youth conventions destroy these kinds of relationships. (I’ll admit that one of the inevitable things you get at youth conventions is drama, it is a couple thousand teenagers after all). I am talking about relationships between the students and each other, relationships between the students and the leaders, and relationships between the leaders and other leaders. Everyone on the trip gets a little bit closer to each other. Students open up during these events. Sometimes this can happen before the event really starts. I recall a student of mine opening up during the van ride. I had never heard him say anything spiritual at all before and here he was having a deeper discussion about the faith. Doors are opened, the spirit is moving, and great relationships form at youth conventions. If you are ever given the chance to go one a youth convention or send your teenager on one, I strongly suggest that you find a way to make it happen. These things may seem like they are geared at an expensive party where the kids stay up to late and eat unhealthy food. Let’s be honest, this is a big part of the fun, but there is also a lot more going on. For whatever reason God likes to work with youth conventions. He shows up, and when he does, he shows up big. These are just five reasons that Youth Conventions are incredibly important to the Church, the Body of Christ. They help to bring teenagers closer to God and closer to the faith. It helps make Christianity more personal and gives them something to identify with. Youth conventions are about so much more than the music, the lights, the late nights, the craziness, the drama, the bands, the activities, the giveaways, and the being away from home. They are about connecting students with God in ways that they would not have been able to otherwise. What are your stories or experiences with Youth Conventions? Leave a comment below!